A Citroën Saxo, a Fiat Cinquecento, a Toyota Yaris, a VW Up! : all available with small enough engines. 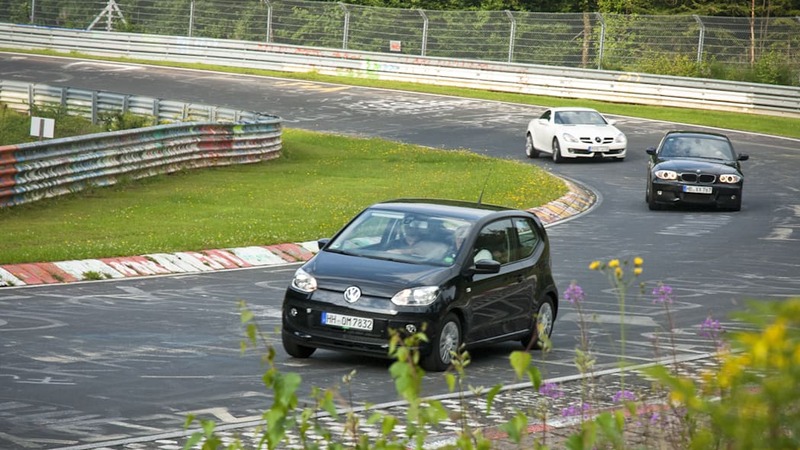 Last month, I drove a lap of the Nürburgring in a 1.3-liter car with 55 horsepower. 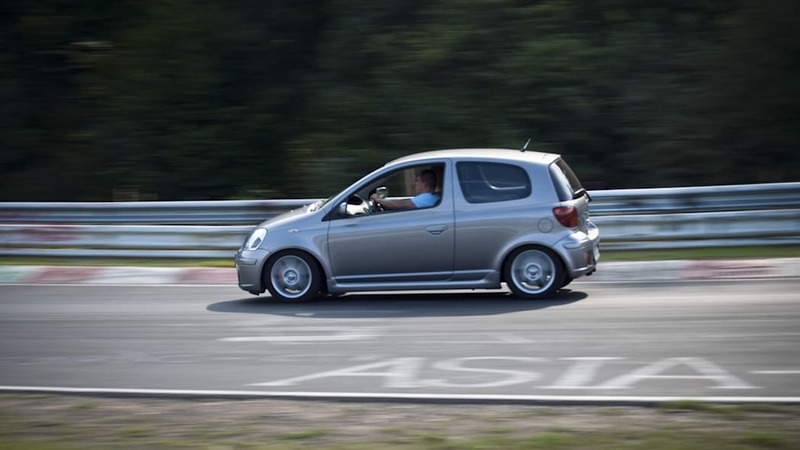 It turns out, that to properly comply with the latest Nordschleife trend, the engine should have been even smaller. The 'Ring enthusiast site Bridge to Gantry is setting up #Club1000. The idea is to successfully lap the track under 10 minutes in a car with an engine size of just one liter. 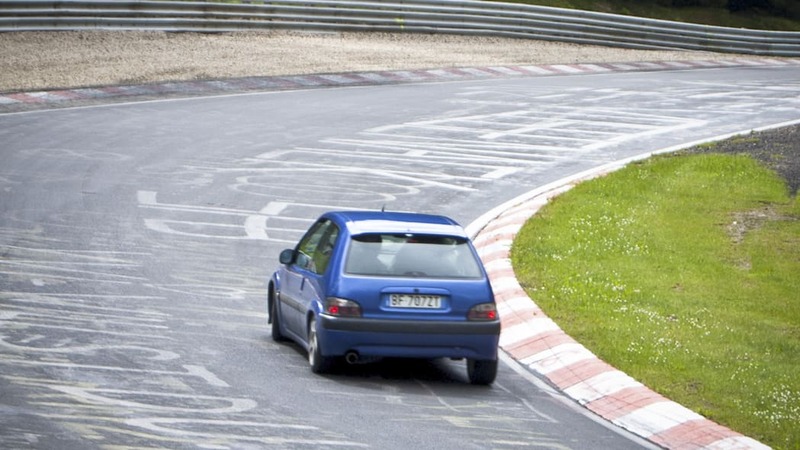 As Dale Lomas, the sitekeeper and Nürburgring aficionado explains, the original "badge of honor" was to complete a sub-10-minute lap, but track cars have now become so quick that everybody goes for an eight-minute lap, or faster. To bring the emphasis back to driver skill and not engine power, to make it exciting in a down-to-earth way again, Lomas is introducing this back-to-basics approach to Ringlaps and "Ringtools," or cars specifically prepared to do their best at the Green Hell. To be absolutely precise, the displacement limit has been set to 1049cc and not 999cc. 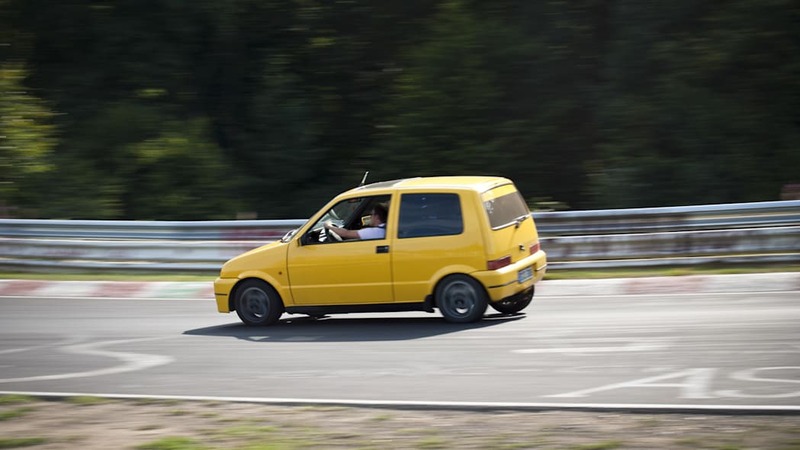 The cars have to be road legal in the eyes of Germans, which probably means no funny business — and for safety's sake, they have to have a half cage, a racing bucket and a proper four-point harness. The liter engine has to be original spec to the car, with original spec internals, so bike engines are off limits — and turbos and superchargers are banned. You can kiss that Daihatsu Charade GTti goodbye. What does all of this mean? Dozens, perhaps hundreds of three-cylinder econoboxes on semi-slick tires buzzing around the famous track! It's not about just a single event, and it's not a race, but the club is envisioned to be a continuous thing. There will be perks like lower trackday fees to Club 1000 members, too. The smallest offerings from Japanese and European manufacturers have always had a liter engine, and going "slow car fast" from one curve to another is one of the core petrolhead experiences this side of the Atlantic. A fast-revving Peugeot TU engine sounds glorious near redline. Our choice would probably be the first-generation Honda Insight with a manual gearbox — low center of gravity, lots of high-tech engineering, lightness as its core philosophy, and a 10-horsepower advantage over the average Toyota Aygo, thanks to the hybrid unit coupled to its 998cc 3-cyl VTEC engine. Hey, no-one mentioned hybrids in the rules — yet!